Vous aurez également la possibilité d'y télécharger vos documents de cours et laboratoire. 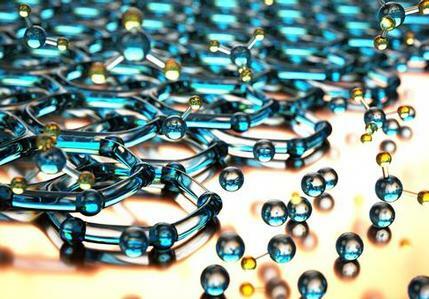 The Graphene LHP project is a part of the prestigious European GRAPHENE Flagship. Our objective is to make use of the remarkable properties of graphene to improve the performances of the two-phase loop heat pipes that are of great interest for innovative applications in aerospace technology. In particular, a graphene deposition into the wick should allow to develop a capillary pressure high enough to operate the loop under extreme hypergravity conditions. Two different LHPs are to be built, including one at MRC that will later be tested at the ESTEC (ESA) centrifuge. Who is working on this project ? The loop that is to be designed and built at MRC won’t fly in microgravity. However, it will be tested under hypergravity conditions at the ESTEC centrifuge (ESA, end of 2015). Preliminary calculations show that a tremendous increase in the capillary head can potentially be reached with the use of graphene in the wick of the LHP. Preparation and characterisation of wick with graphene deposition are currently in progress with partners. Expertise is acquired at MRC about LHP sizing and simulation using an advanced software for heat transfer design and fluid dynamics modelling.